WALTHAM, MA – December 16, 2015 Today BlueSnap, a global payments technology company, announced that Zuora®, the world’s leading provider of subscription billing, commerce and finance solutions, has integrated with BlueSnap to provide merchants with global, mobile payments in order to reach shoppers in 180 countries with frictionless checkout with maximized payment conversions. Global eCommerce is set to grow at 25% this year and merchants want to sell internationally to reach more shoppers. 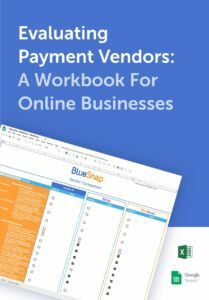 With the BlueSnap and Zuora integration, merchants will have access to a robust, full feature global checkout experience to increase their conversions by up to 40%. With BlueSnap, transactions are automatically routed to multiple acquiring banks globally to ensure maximum payment success rates. Zuora’s Relationship Business Management (RBM)® solution helps enable businesses in any industry to launch or shift products to subscription, implement new pay-as-you-go pricing and packaging models, gain new insights into subscriber behavior, open new revenue streams, and disrupt market segments to gain competitive advantage. Headquartered in Silicon Valley, Zuora also operates offices in Atlanta, Boston, London, Paris, Munich, Beijing, Sydney, Tokyo, Amsterdam, Vienna, Copenhagen and Stockholm. Zuora clients come from a wide range of industries, including media, travel services, consumer packaged goods, cloud services, and telecommunications. Clients include Financial Times, Schneider Electric, Box, Honeywell, NCR, RTL, lynda.com, The Guardian, YP.com, BlueJeans, Shutterfly, TripAdvisor, Vivint and Trulia.